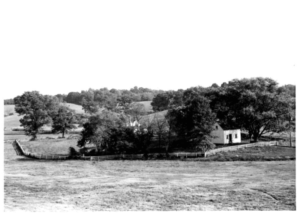 Mr. Alfred Smith Jr. was the owner of Blythewood Farms, a Historical farm in Upper Marlboro that had been in the Smith family for generations. I had the good fortune of befriending Mr. Smith while at the University of Maryland studying Landscape Management. He insisted I called him by his first name "Al Junior," but I always respectfully called him Mr. Smith. He was in his golden years, and he spent many a days riding his tractor and caring for animals on his farm. One day I was invited to spend an afternoon on the farm with Mr. Smith. That afternoon made me feel like a kid again. I proceeded to spend all my free time after school, after work and on the weekends helping Mr. Smith out on the farm, learning from him and absorbing his words of wisdom. Mr. Smith and I had the same passion for agriculture and he eventually took me under his wing. He became a great mentor to me. While still in school at Maryland, Mr. Smith encouraged and helped me, along with my brother, start our first residential landscaping company, Ball Park Lawn & Maintenance. We ended the year with a few dozen residential customers and very little earnings. It was a modest first step into business but it was something I loved doing. Mr. Smith helped us even more by moving our operation to the farm. The landscaping business grew even bigger in the next 6 years. We made a strategic change and shifted our focus mainly to commercial landscaping. But sadly during this time, Mr. Smith had passed away. 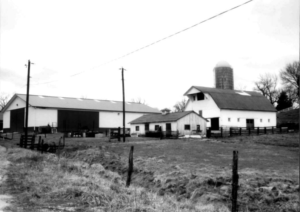 With no one to care for the farm, I became the steward by maintaining and restoring this historic farm. BP Landscape eventually became partners with a service company, working under their umbrella and providing complimentary services. During this time, I partnered with Michael Berg who became the company's sole sales/account manager. Michael helped us grow the company even larger in the next 3 years. In 2017, Michael and I decided to dissolve the relationship the service company and start a new landscaping company with a new name. I changed the name to Blythewood Landscape Management, aptly named as a tribute to Mr. Smith and the farm I first became part of more than 20 years ago.